$25 preregistration or $30 day of. $47 for 4 Tubers for 2 hours, one tuber must be an adult over the age of 18. Also includes 4 free hot chocolates. Tubing is open until 7pm and you must be over the age of 4 to tube. Must be purchased online in advance. Buy online now! $29 for Lift Ticket and Rentals or $17 for Lift Ticket only. Funds go to our Ski Angel Program. Ski Angel Program supplies not only access to the mountain but also equipment and lessons through a scholarship program as well as providing lift tickets to the Boys & Girls club, Kinship Program, DL School District and Becker County. 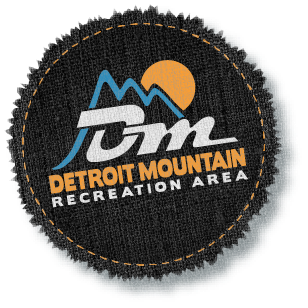 6:30pm-9:00pm Live Music by The Cropdusters in Ace’s Wild Saloon at Detroit Mountain. No cover charge. Try Fat Biking! Discounted Fat Bike Rentals.